Individual ballot data is great, let's put it to work! 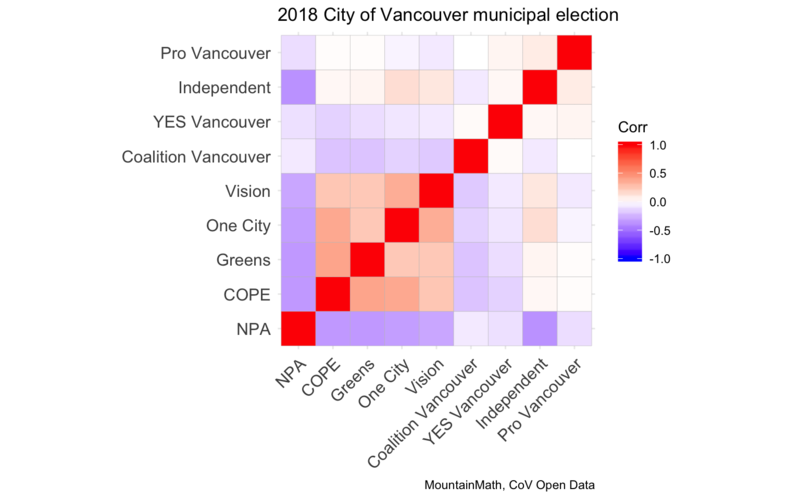 The City of Vancouver made individual ballot data available. So the vote choice on each individual ballot. It’s been out for a couple of days now, and I have been quietly hoping someone else would write something up. But I got too curious, so here is a super-fast write-up. We focus on mayor and council votes only. There were 21 candidates for mayor and 71 for council to choose from, and each voter was allowed to vote for (at most) one mayoral candidate and up to ten council candidates on their ballot. Digging into yet another round of claims of some group of people leaving Vancouver. Zombie attack! Zombies fleeing Vancouver want to eat your brain… drain… or something. A couple of weeks ago The Canadian Press reported a story asserting that young professionals were leaving Vancouver because of the high cost of housing. This fits in with a common zombie refrain that we hear from the media. It’s a story that just won’t die, no matter how many times it’s proven wrong: Millennials, or young people, or boomers, or people important for some other reason are leaving Vancouver because of housing. 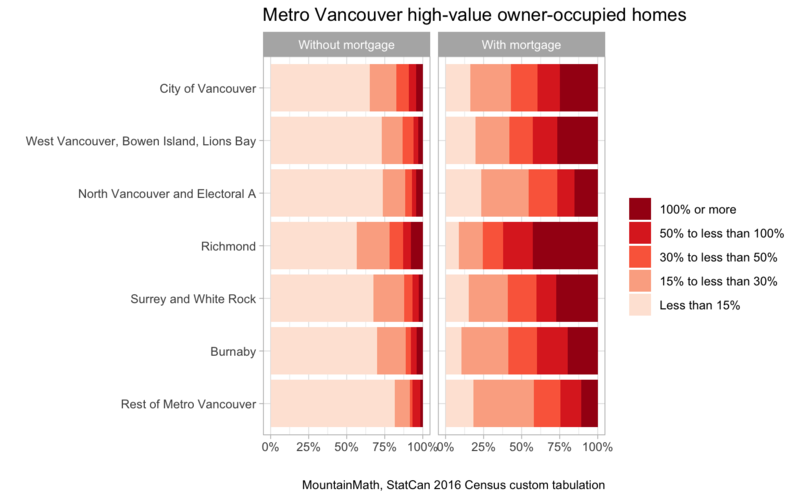 Who lives in Metro Vancouver's high-value homes? High-value homes frequently make the news in Vancouver, most recently in the wake of the extra school tax for homes valued over $3M. The province will have looked at the data before introducing the legislation, but none of this seems to have filtered out to the general public. So maybe there is a need to take a closer look using Census data. The census is a couple of years old now, and things have changed a bit since then. 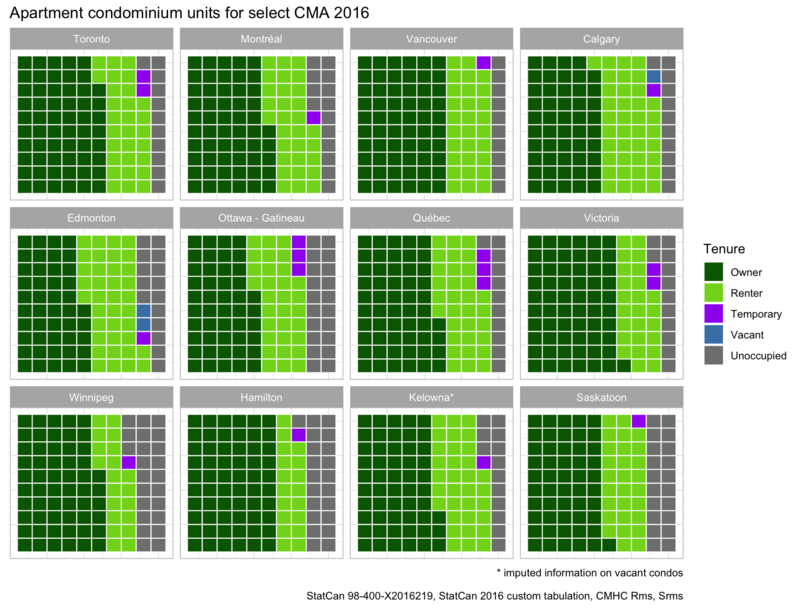 Comparing how condos are used across Canada. (Cross-posted at HomeFreeSociology) Condominium apartments are fascinating! At their heart lies a relatively recent legal innovation enabling individual ownership of units in multi-unit developments. Since their arrival, condominium apartments have become places to build homes, sources of rental income, sites of speculative real estate investment, and experiments in private democratic government. They’re also in the middle of many on-going debates about housing and the future of cities in Canada and around the world. What's the penalty to move f you are renting in a purpose-built rental building in Canada. 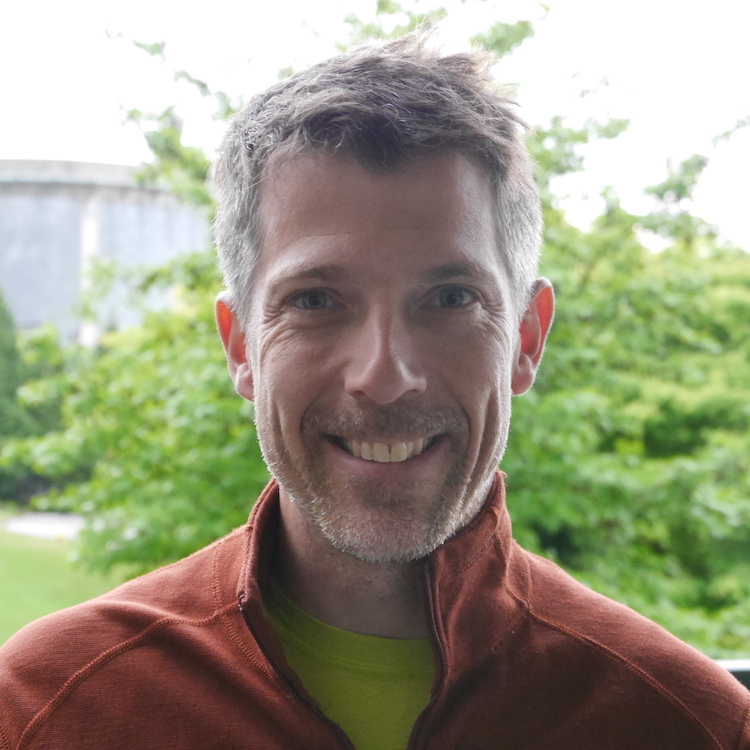 Aaron Licker asked a good question about this very interesting dataset. 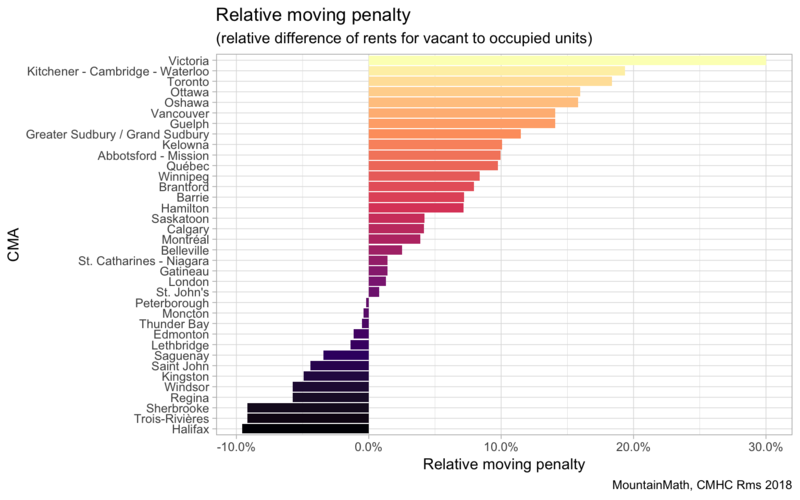 twitter-verse where is the data that forms this amazing table from @CMHC_ca: cc @vb_jens @LausterNa @rwittstock pic.twitter.com/iRD65KQdz3 — Aaron Licker (@LGeospatial) November 28, 2018 Unfortunately it is not obvious where to get the raw data, but Keith Stewart at the Vancouver CMHC office was kind enough the share the dataset. So read on to follow my quick look at the data, or just download it if you want to tinker yourself.